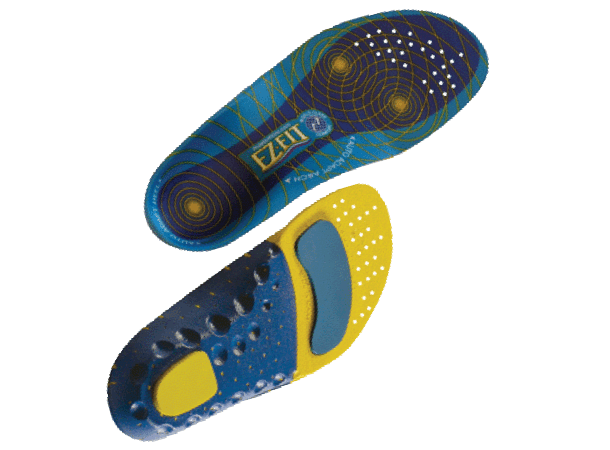 EZ•Fit Auto Adaptable Insoles improve fit, comfort, support and performance in all footwear in all activities. Wear•n•Form™ technology personalizes shape to custom fit your arch and heel. 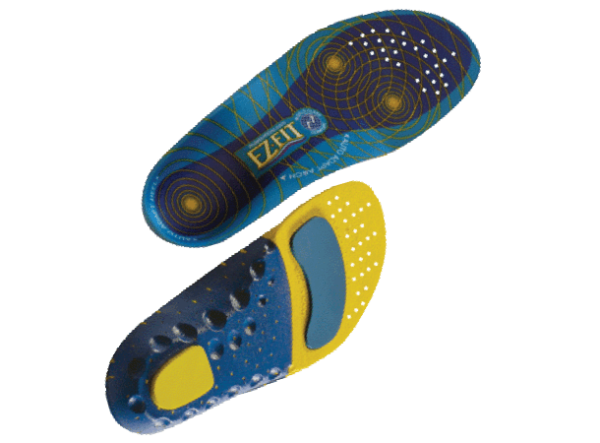 Shock-tuned Poron™ pads dampen vibration and absorb harsh impacts under the heel and forefoot. 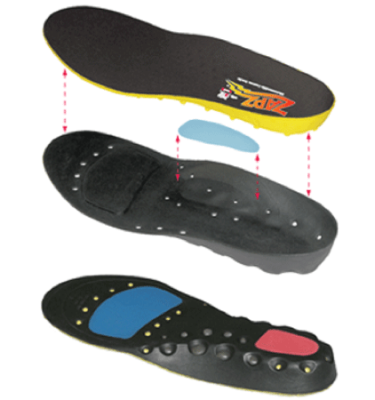 The anti-microbial topcover reduces odor, blistering and moisture to keep feet dry and comfortable. For half sizes that fall on a size break, select the whole size that contains your half size. 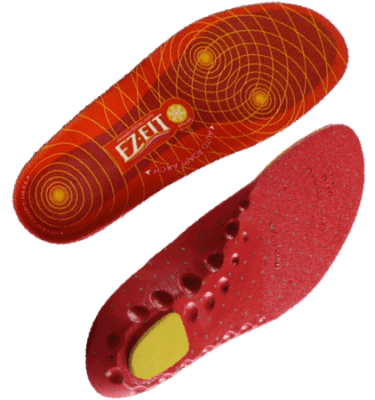 For example, a Men’s 7.5 would choose the Medium size insole.